The 25-year-old Dutch rider is a legitimate contender in the women's road race at the upcoming Richmond worlds. Media coverage of women’s cycling is so uneven that a win in a high-profile race like La Course can overshadow a rider’s other achievements. 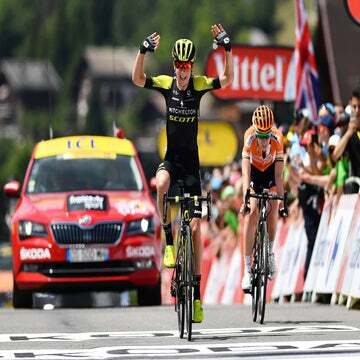 That is certainly the case with Dutchwoman Anna van der Breggen, 25, who said her victory at La Course, in front of the world press assembled for the final stage of this year’s Tour de France, garnered much more coverage than more impressive wins in her career. This season has been somewhat of a breakthrough for van der Breggen. With the exception of this year’s UCI Road World Championships, she has achieved all her targets and more. The biggest of these was winning the general classification at the Giro d’Italia Femminile, a race dominated in recent years by Rabo-Liv teammate and compatriot Marianne Vos. There, it was consistency and a perfect time trial that brought her success. That win in the Ardennes classic, famous for its slow motion bunch sprint up the fearsome slope of the Mur de Huy, was her most impressive one day performance to date. The Zwolle native won by 12 seconds, attacking at the base of the climb and gapping a group she had earlier bridged to alone. Van der Breggen’s season began with a bang, winning her first race, Het Nieuwsblad, ahead of other riders much better suited to the course. “You’re always always curious in the first race; how is everyone, how is my shape. The other girls were coming from races in Qatar and Australia so they had done a a lot more than I had,” she said. A change of approach for her off-season seems to have been the key — a long rest period produced freshness and greater motivation before hard training brought her form. Stability was also key. Before joining Rabo-Liv, van der Breggen had been balancing racing and training with a nursing degree, a course of study she pursued with the same single-minded approach she brings to her riding. 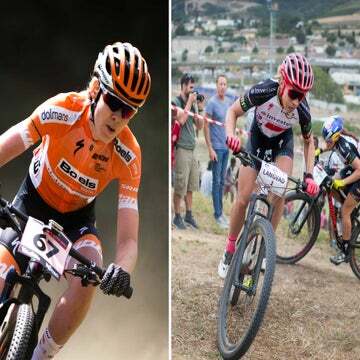 From last year to this year, there has been a notable progression, one that puts her in prime position to be kopvrouw — the head woman — for the Netherlands team at the world championships next month. The Dutch dominate women’s cycling and will take strong team to Richmond. “As kopvrouw, it doesn’t mean the others only do things for me. It’s a race where a lot of things can happen, it’s possible I miss a breakaway or somebody else is in the break, then we change the plan and we are with the team. We have girls,” she said. Van der Breggen began Saturday’s final World Cup race at Plouay in prime position to take the series title, but lost out to Britain’s Lizzie Armitstead, who rides for Dutch team Boels-Dolmans. Indeed, her sprint may be van der Breggen’s only weakness. She can time trial, climb, and has the ability to perform in the longest stage races. Even with the expected return of Vos next year, this 25-year-old talent will still be winning. Before then, don’t be surprised to see her on the top step in Richmond next month.